Local results appear for people who search for businesses and places near their location. 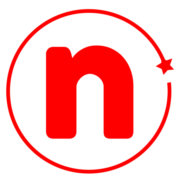 They’re shown in a number of places across Maps and Search. 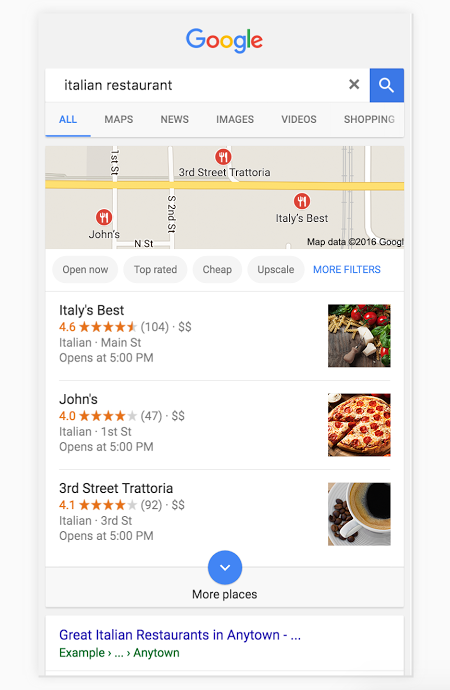 For example, you’ll probably see local results if you search for “Italian restaurant” from your mobile device. Google will try to show you the kind of nearby restaurant that you’d like to visit. In the image below, Google uses local results to suggest some options. You may find that your business doesn’t appear for relevant searches in your area. 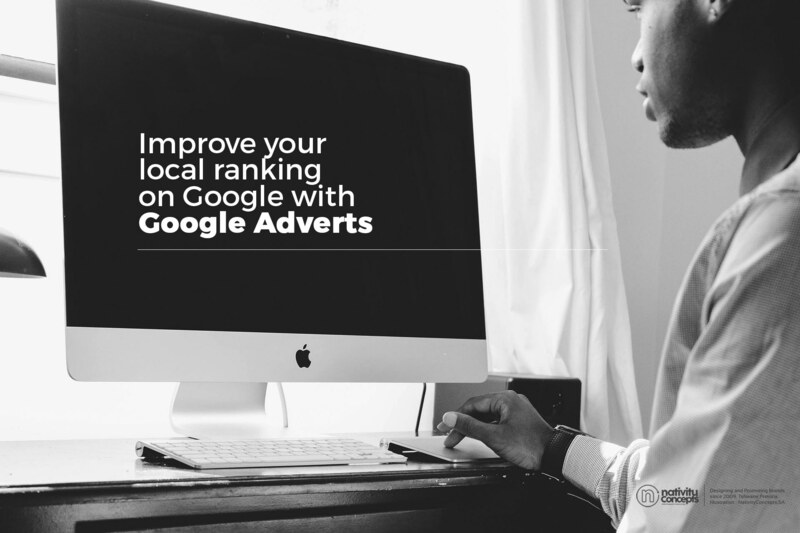 To maximize how often your customers see your business in local search results. Providing and updating business information in Google My Business can help your business’s local ranking on Google and enhance your presence in Search and Maps. Local results favor the most relevant results for each search, and businesses with complete and accurate information are easier to match with the right searches. Make sure that you’ve entered all of your business information in Google My Business, so customers know more about what you do, where you are, and when they can visit you. Provide information like (but not limited to) your physical address, phone number, and category. Make sure to keep this information updated as your business changes. Verify your business locations to give them the best opportunity to appear for users across Google products, like Maps and Search. Entering and updating your opening hours, including special hours for holidays and special events, lets potential customers know when you’re available and gives them confidence that when they travel to your location, it will be open. Interact with customers by responding to reviews that they leave about your business. Responding to reviews shows that you value your customers and the feedback that they leave about your business. High-quality, positive reviews from your customers will improve your business’s visibility and increase the likelihood that a potential customer will visit your location. Encourage customers to leave feedback by creating a link they can click to write reviews. Adding photos to your listings shows people your goods and services, and can help you tell the story of your business. Accurate and appealing pictures may also show potential customers that your business offers what they’re searching for.